Abstract: Daisy, then a 21-year-old female, presented with vomiting and headaches. A CT scan indicated obstructive hydrocephalus. Her condition returned to normalcy after the installation of V-P shunts. Barely one and a half years later Daisy suffered a relapse. Subsequent imaging indicated tumors in the brain and this was diagnosed as pineoblastoma. Daisy was in a coma and had to be warded in the intensive care unit of the hospital. Medically she was written off. Doctors told her parents to find whatever “cures” they thought would help Daisy. A stranger told her parents about CA Care herbs. Two weeks after taking the herbs, Daisy emerged from coma and was discharged from the hospital. She suffered total memory loss and had to learn how to read and do the basic household chores all over again. Daisy remained well for more than 5 years. She only took herbs. In June 2006, Daisy suffered pain in her eyes and had blurred and multiple visions. Her problems were resolved after taking more herbs. Brain tumors are perhaps the most feared of all human malignancies. This disease affects both children and adults (1 ). One rare and very little known type of malignancy is pineoblastoma, which involves the pineal region of the brain. Pineoblastomas represent less than 0.1% of all primary brain tumors. They occur mostly in children although less than 10% of cases were reported in adult ( 2, 3 ). The rarity of pineoblastoma is reflected in the number of cases reported. Throughout a period of 30 years (1969-1998) the Brain Tumor Registry of Japan recorded only 34 adults, aged 16 to 66 years, with pineoblastoma ( 2 ). In the US, Mayo Clinic recorded only 15 patients with pineoblastomas from 1939 to 1991 ( 4 ). The University of California, San Francisco recorded 11 cases of pineoblastoma in patients ranging from 17 to 59 years old from 1975 to 1992 ( 5 ). In Kangnam St. Mary’s Hospital, Korea, only 2 patients were treated with pineoblastoma over a period of 1982 to 1996 ( 6). According to Nomura ( 7 ) the incidence of pineal tumors was higher in Asian countries compared to Western countries. A review of literature also reflects this – much more reports about pineal tumors have been written by Japanese researchers than from any other countries. Pineal Parenchymal Tumors (PPT) Many tumor types can form in the pineal region, the most common being pineal parenchymal tumors and germ cell tumors ( 8 ). Schild et al. 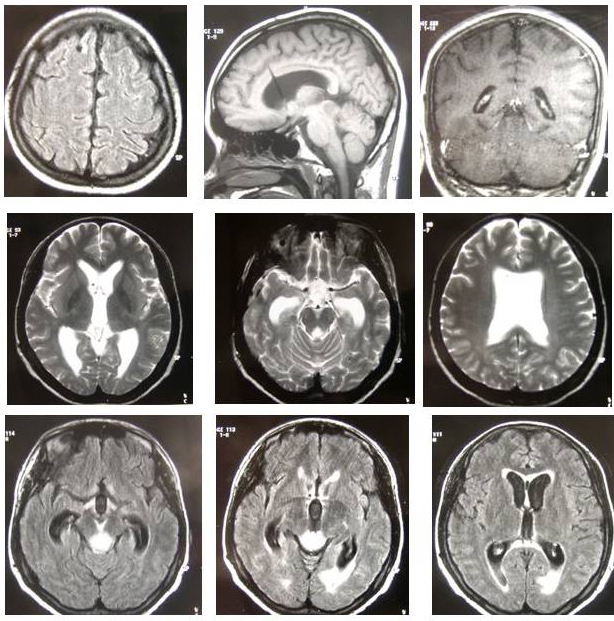 ( 4 ) divided pineal parenchymal tumors into four types: low-grade pineocytomas, intermediate tumors, which is the transitional form between pineocytomas and pienoblastomas , mixed tumors which show patterns of both pineocytomas and pineoblastomas, and high-grade pineoblastomas. Pineoblastomas and pineocytomas comprise 20 to 40% of tumors in the pineal gland (9 ). Nature of pineoblastoma Pineoblastomas are primitive and highly malignant tumors exhibiting a fast tempo of progression of the disease. Sometimes these tumors occur in children with bilateral retioblastomas ( 9, 10,11 ). Prognosis Most malignant pineal region tumors have shown poor prognosis ( 12 ). In Japan the overall survival of adults with pineoblastoma was 25.7 months( 2 ). Working with 11 adults with pineoblastomas, Chang et al. ( 5 ) reported a median overall survival time of 30 months, from date of surgery. One patient who refused any treatment or follow up review died 6 months after diagnosis. Metastases Being highly malignant, pineoblastomas have been shown to spread via the cerebrospinal fluid ( 3, 11). They may affect the neighbouring ventricle or along the meninges ( 13). Some authors have reported metastasis to the cerebral neuraxis ( 14 ), spine ( 2, 4 ) and lateral pelvis ( 15). Gururangan et al. ( 16 ) reported two rare occurrences of ventriculo-peritoneal shunt-associated peritoneal metastases in two patients with pineoblastoma. Symptoms Patients with tumors of the pineal region generally present with headaches and obstructive hydrocephalus. This is due to the enlarging mass compressing the Sylvian aqueduct. The compressing mass may also affect the superior and inferior colliculi that surround the pineal gland resulting in eye movement abnormalities, specifically Parinaud’s syndrome e.g. paralysis of the upward gaze, and some hearing loss. Since the pineal gland produces melatonin, a hormone involved in sleep regulation, patients with pineal tumors may show sleep disorder ( 5,10 ). Treatment According to Tobias & Easton ( 1 ) the treatment results of high grade-tumors are too poor to justify routine intervention. But the outlook with low-grade tumors is not too bad. However, they came to a conclusion that “as far as cure is concerned there is no use pretending that brain tumors are truly curable”. On the contrary, Akiyam et al. ( 17 ) is of the opinion that since pineoblastomas are rare and remarkably malignant, aggressive therapies including surgery, radiotherapy and chemotherapy are justifiable. These remarks reflect the current uncertainty of treatment strategy and prognosis with regards to pineal tumors. It is said that because of their highly invasive tendency, poorly defined borders and location, total gross resection of pineoblastomas is very difficult and could be outright dangerous. Although the effectiveness of external irradiation and chemotherapy has been reported, the outlook is extremely poor ( 18 ). Because of the potential danger of surgery in and around the pineal gland, some investigators have recommended radiotherapy without biopsy. Unfortunately the tumors were not curable by radiotherapy. Initial response did not last and relapse generally occurred ( 10). Fisher et al. ( 3 ) pointed out that in the past, surgical treatment of pineal tumors resulted in mortality rate as high as 90%. For this reason a more conservative management such as shunting and radiotherapy are preferred. Duffner et al. ( 19 ) reported the outcome of 11 infants with pineoblastomas who underwent partial surgical resection and had shunts. They were treated with prolonged chemotherapy to be followed by craniospinal radiation. Survival following diagnosis ranged from 4 months to 13 months. All children died. Balas et al. ( 20 ) suggested a non-resective treatment approach to pineoblastoma comprising of: stereotactic biopsy, cerebrospinal fluid diversion, both external radiotherapy and interstitial irradiation with iodine-125 seeds and sometimes integrated with chemotherapy ( 21 ). However, Chang et al. ( 5 ) observed that although patients with pineoblastoms are often treated with adjuvant systemic chemotherapy after craniospinal irradiation, the benefits of this approach are unclear. Daisy (not real name), then a 21-year-old female, started to feel lethargic and had frequent headaches. Her doctor did not suspect anything seriously amiss and treated her for typhus. For headaches she took painkillers. The pains went off only to resurface later. Sometimes, Daisy suffered from tremor of her hands if she overexerted herself during training. The tremors would last for one to two hours. As a result, Daisy had to stop her rigorous judo training. One day she vomited and was brought to the Gotot Soebroto Military Hospital in Jakarta. The doctors in the hospital were baffled as to what had gone wrong and continued to treat her for typhus infection. Daisy became disillusioned. One night she pretended that she had a severe headache. This was to attract her doctor’s attention. The next day her doctor ordered a cranial CT scan which showed obstructive hydrocephalus. The doctor installed ventriculo-peritoneal (V-P) shunts (Figure 1). 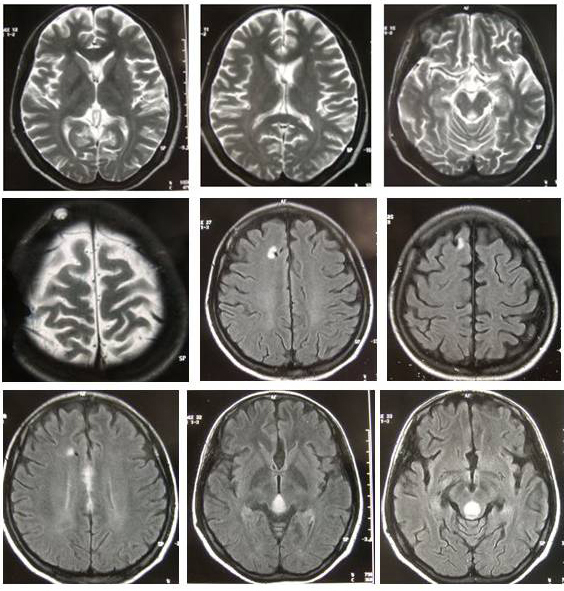 After this intervention, a CT scan on 10 November 1999 showed normalcy (Figures 2). In all, Daisy spent three months in the hospital recovering from her first ordeal. After her discharge from the hospital, Daisy was not given any medication. She returned to Puncak and became a judo coach. She taught judo to young children and brought them to different neighbouring countries to participate in competitions. Life went on normally for about three years. Daisy did not know the seriousness of her illness. Neither did she had any inkling that she might suffer a relapse. In March 2001, Daisy started to experience dizzy spells. Her dizziness came on and off every three to four days. She ignored the problem. Then for three days she experienced acute ptyalism. Finally she slipped into unconsciousness. 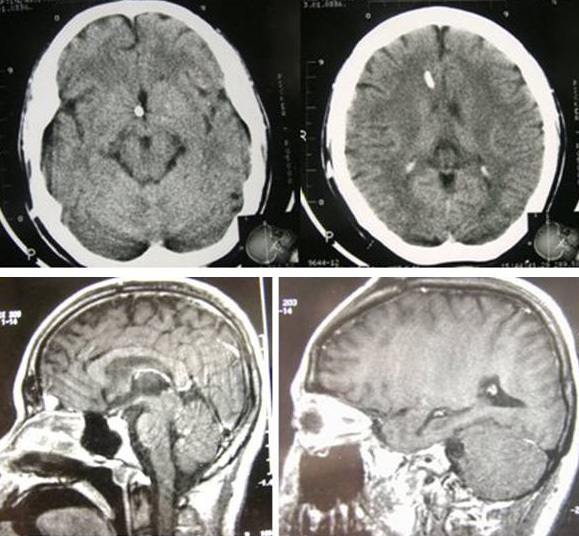 She was admitted to the hospital again on 30 March 2001 and subsequent imaging showed tumors in her brain (Figures 3, 4 & 5). Her problem was diagnosed as pineoblastoma. Her medical report stated: Therapy: surgical intervention not possible in Indonesia. Conservative therapy. Drugs: Diamox, Aspar K, Madopar, Artane, Medixon, Pantozol and Vometa. Daisy was in a coma and was placed in the intensive care unit (ICU). Doctors told her parents that they were open to any alternative suggestions to help her. Medically, there was not much that medicine could do. While in a coma her only contact with the outside world was a feeding tube inserted through her mouth to the stomach. It was at that point in time when someone introduced the family to CA Care. Two weeks after Daisy started to take the herbs, she regained her consciousness. Patoppoi: On 3 May 2001, at the Gotot Soebroto Military Hospital in Jakarta, was a small crowd of people – parents, friends, including a priest – crying and praying for a young patient in the ICU with brain cancer. A stranger passed by and saw this group of people in despair. He enquired why these people were crying. He took out a piece of paper and wrote: “See CA Care Indonesia, Tel: 489-4754”. Because the tumor was located in the middle of the brain, the doctors said they could not operate on her: “No medication would work”. So, the doctors advised the family to find other means of cure. The father told me that they tried all kinds of herbs and supplements, etc., but they were not effective. Daisy continued being in a coma. Chris: Who is this stranger and how did they come to see you? Patoppoi: This stranger is known as Pak Eddy, but we do not know who he is. A priest came the next day, wanting to know what kind of prayer I used. They thought we were giving medication by praying. So I told him: “we prescribe the herbs and you pray”. The next day, Daisy’s father came. He took the herbs. I explained how to boil them, what to do etc., and the pantang (food prohibitions). They could only pour the herbal powder and tea through the feeding tube. C: Could she talk or do anything? P: She was in a coma and could not do anything. She could not eat. Feeding was through the tube. C: Did you see her in that condition? P: No. Only the parents reported her condition. C: What was her initial reaction to the herbs? P: They told me that after taking the herbs for two days, she vomited. But I ask the parents to continue with the herbs. C: And what happened after that? P: During the first week (of taking the herbs) there was a reaction. She emerged from the coma. She was able to see. The second week after taking the herbs, she could talk. But as the tube was still in her mouth, it was difficult for her. Sometime in the third week, she took out the tube from her mouth by herself. C: What herbs did you give? P: Only two types of herbs: Brain Tea and Capsule A. C: When did you go to see her? P: In the third week (after taking the herbs). C: Tell us the condition of the girl while she was still in ICU. P: I had to wear the hospital’s gown to enter the room. I shook hands with her and also talked to her. The first words from her were: “I want to eat satay kambing” (barbequed mutton on stick). So I said: “Wait, wait”. C: Was she able to walk at that time? P: During my first visit: No. She was later transferred out of the ICU, so during my second visit she was already in the regular ward. Anybody could visit her there. When I came in, she was already talking with other people. And she was eating normally. C: When was the last time you saw her? P: Last week – that is mid June 2001. (This conversation was recorded on 21 June 2001). C: Has she any pains? C: The last time you saw the girl, was she alright? P: Yes. She talked with me and was laughing like a normal person would. She could walk. C: Does the doctor know that she was taking herbs? P: Yes, because of the herb boxes on the table in the hospital room. The nurses helped to boil the herbal teas. The doctor only asked the father for my address. C: And this hospital, is it a good hospital? P: Oh yes, this is a military hospital. Even the President of Indonesia goes there for treatment. It is better compared to other hospitals. They took her there because the Chairman of the Olympic Committee is a military general. (Note: Daisy is Indonesian’s judo gold medalist and therefore is provided with the best of medical treatment without charge). Chris: Can you tell us what happened when you were admitted to the hospital for the second time? Daisy: No, I cannot remember anything at all. Many things happened but nothing registered in my mind. So what I am going to tell you are what I learnt later from my parents and friends who came to visit me. While in the hospital, mine was a dark world. I did not see any images, and I did not feel any pain. And I did not remember hearing anything too. But although I was in a coma, I was not brain-dead. According to my mother, I did react to what was going on around me in the ward. When my friends came they cried and told me not to leave them yet. My mother said my eyes were also full of tears when my friends cried. At one time, I became very angry. At times, I laughed. When my judo coach from Korea came, I talked to him in Korean much to the amazement of those around me. There were times when I asked for pizza, satay, etc. Nevertheless, I could not remember all these events. C: Were you able to eat all these food? D: No. I have to be fed through the tube. C: Did you remember the day when you were given our bitter herbs? D: No, I do not remember at all. My mother said that after I took your herbs, I started to pass out a lot of urine and it was dark and dirty. My parents panicked and called Uncle Patoppoi to check what had happened. Uncle Patoppoi asked my parents to continue giving me the herbs. My friends told me that while I was in the ICU, my skin peeled off like a moulting snake. They have to apply oil to my skin. C: Do you know how long were you hospitalized? D: About four months and I spent almost two months in the ICU. C: Can you remember, the day when you woke up from your coma? D: No, I could not remember anything at all. But this is what my mother told me. After taking your herbs for a while, one day I started to talk. My mother was beside my bed and she usually would be singing hymns. I said to her: “Oh, your hymn is out of tune” and I laughed. People around me were astonished and called the doctor and the nurses. I was alive after all. From then, I started to recover. This incident happened about a week or two after taking your herbs. C: Can you recall the first thing or the first time you could remember about your hospitalization? D: Yes, this was after I came out of the ICU and I was in the regular ward. I spent about a month doing physiotherapy. I remember telling the nurse who wheeled me to the physiotherapy room: “Where are you going to bring me. I am not sick. I am alright”. This is the first incident that I remember, the rest were all blank. C: Why do you need to go for physiotherapy? D: Oh, I lost my ability to move around and to do things. When I saw a toy block, I thought that I could pick it up. No, I did not have the strength to do that. During physiotherapy I had to learn to do things all over again like a young child. I had to learn the alphabets, A, B, C. I rearranged the toy building blocks from one place to another. C: You were discharged from the hospital on 27 July 2001 and you parents brought you home to Makasar – did you remember that? D: No. My memory came on and off. Sometimes I remembered things, sometimes I did not. There was a doll in my home. I asked my mother: “who’s doll is that?” In fact, it was mine and it was with me all the time when I was in the hospital. My mother had to teach me how to sweep the floor, wipe the table and do other house chores. Slowly, I regained all these basic skills. I helped my mother to sell things in her shop. One customer paid me 500 Rupiah. I gave him back 1000 Rupiah as change! C: How long were you at home in Makasar, and did you have any problem with your health? D: I was home for almost a year. I did not suffer any headache or pain. However, there was one occasion when I had seizure. This caused my parents to panic. But it only occurred once and then everything was back to normal again. There was only once when I vomited while taking a walk with my father. Apart from those two events, I was recovering without any problem. C: Were you completely recovered, and what did you do after that? D: Yes, after one year I became normal again. In mid-2000, I decided to dedicate my life to God. So I left home to study at a seminary (Sekolah Tinggi Telogi Berita Hihup) in Solo, West Jawa. C: One last question, since your discharge from the hospital, did you go back and see your doctor again and were you on any medication? D: No, I did not see any doctors at all. I was only taking your herbs and nothing else. On 20 August 2001, Professor Anwar Pasau (the late Patoppoi’s brother) interviewed the family in their home in Makasar on our behalf. Question: In 1998, she had a brain operation. What were her symptoms before the operation and what was the problem? Answer: She had headaches, dizziness, nausea, vomiting. Her body trembled. She lost her memory and her vision was hazy. Q: After the operation in 1998 until March 2001, how was she? A: She was alright and had no more of problems mentioned in question 1, but she was not able to train in judo anymore. She became a judo instructor instead. She also studied English literature in University Pakuan, Bogor – about an hour ride away from Puncak, her judo training centre. Q: What happened in April 2001 before she went to the hospital? A: She felt dizzy, had nausea, and vomited. She became sleepy and discharged a lot of saliva. Her body trembled. Q: What was her condition when she arrived at the hospital? A: She was in a coma. A: The brain doctor could not do anything because the tumor was found in the middle of the brain and thus inoperable. She was prescribed many drugs to take. Q: How long was she in the hospital and how long was she in a coma? A: She was in the hospital from 30 March 2001 to 27 July 2001 (four months) and she was 6 weeks in a coma. Her muscles were all stiff. Q: When she was in a coma, could she remember anything, see anything, or hear anything? A: No, she was not able to remember, hear or see anything. Q: During her stay in the hospital, could she remember anything at all? A: She remembered that she urinated in bed. She remembered Dr. J (brain doctor) and Dr. H (nerve doctor). She also remembered the bitter taste of the Brain tea. Q: As parents, what did you think would happen to your daughter when she was in a coma? A: We were hoping for God’s mercy. Q: When you came to Patoppoi to take herbs, did you believe that the herbs could work or help Daisy? A: In the beginning, we were not sure, but we wanted to try. I have tried many things and I would want to try anything. Q: Eventually do you think our herbs are gong to help your daughter? A: Before taking the herbs, my daughter was in a coma and her muscles were all stiff. After taking the herbs, my daughter woke up from the coma, the muscles were not stiff and her condition was much improved. Q: Now that Daisy is back at home, is she normal? A: Getting to be normal, except for her eyesight. Q: Has she lost any memory of the past at all? A: No, she can remember events of the past. Q: Can she now do anything and everything that she was doing before she was in a coma? A: She needs to rest and cannot work as a judo instructor yet. Apart from that she is recovering and doing fine. In 2006, Daisy had successfully completed her course at the seminary. We thought it would be a good occasion for celebration and invited her to come and stay with us in Penang, Malaysia for a week. However, on 28 May 2006, about 6 weeks before leaving for Penang, a strong earthquake struck Jogjakarta, Indonesia where Daisy was staying. Daisy was sleeping in her church unharmed while the houses in the surrounding area collapsed. On Saturday, 17 June 2006, we received an e-mail from Daisy. It read (translated from Indonesian): During the earthquake I was alright. But since last Tuesday (13 June) my vision was not good – it is blurred and I see multiple visions. Please let me know if I can increase the dosage of Capsule to 3 capsules, three times a day. Chris: Before the earthquake, was your vision alright? D: Yes. I had no problem at all. I was well. C: What did you do after the earthquake? D: I had to organize relief activities, cook and feed 30 to 40 homeless people who came to our church for food. It was hard work. Everyday we had to find whatever we have to feed these people. C: Did you have enough sleep and were you able to sleep well? D: No, I was very tired and sleepy but still we have to work and get things going. I was not able to sleep well too. C: Then what happened to your eyes? D: It was on 13 June (about two weeks after the earthquake) that I felt pain in my eyes. I tried to get some rest and fell asleep from 12.00 noon till 8 p.m. I was unable to wake up. It took a long time for my friends to get me on my feet again. After that my vision became blur and I saw multiple visions. I saw 3 to 4 images of each person. C: Could you recognize people? D: Four days later I went to see a doctor who referred me to a neurologist. The neurologist asked me to roll my eyes to the left, right, below and above. I could do all except rolling my eyes upwards. To look above I have to turn my head as well. C: What did the neurologist tell you? D: He was reluctant to tell me what was wrong. I then told him that I had a history of brain tumor. The neurologist then admitted: “That is it. But I was reluctant to tell you that it might be a tumor pressing on the nerve affecting your eye movement. I am afraid that I might frighten you”. I told the neurologist that I am planning to go to Penang and see a Dr. Teo. The neurologist suggested that this was a good idea. He did not give me any medication. So with the help of my friend I sent you an e-mail on 17 June 2006. The message was actually written by a friend as I was still not able to see the words on the computer screen. C: I replied that you can go ahead and take 3 x 3 capsules per day – what happened after that? D: I took your herbs and also some other local supplements. Three days later, I could focus my vision and also direct my eyes to see above. There were some improvements. But I was still not able to read. To focus on the print of the printed page, I need to close one eye. With both eyes open, I could not see clearly nor focus. C: You said after taking the herbs for 3 days, your vision had improved. What happened after that? D: I was still not able to see objects far away. When I climbed the stairs, I was not able to see the steps. C: You flew to Penang on 5 July 2006. What was your condition then? D: The air stewardess had to help me walk up the steps to the aeroplane. I was not able to fill the immigration embarkation card. Someone had to do that for me. C: When you arrived here, on 6 July you started to take the Brain Tea – did it help you? D: Yes, I could read better. I could focus but it was not very clear yet. C: Can you see the steps of the stairs now? C: Tell me again, when you had problem with your vision, were you able to read at all? D: No, I cannot read. On 12 July 2006, we asked Daisy about the condition of her eyes. She said: I can now read without having to close one of my eyes. My vision is almost restored to normalcy. I would rate it at 7.5. One point of contention about this story is the correctness of the diagnosis. Did Daisy really suffer from pineoblastoma? But what does it matter if it is another type of brain cancer? The fact still remains that Daisy was in a coma and there was nothing much modern medicine could do for her. As herbalists we are in no position to verify that diagnosis. Over the years, cancer patients are asked to bring along their medical reports when they come to us for help. We do not diagnose their cancers. We only help to manage the illness. Of the 1,039 cancer patients we have seen over a period of two years, 21 of them suffered from brain cancers and probably 3 cases involved the pineal region. Daisy’s case was specifically diagnosed as pineoblastoma. Daisy was in the ICU for 5 weeks in a coma. After taking herbs she discharged a large quantity of dark, dirty urine and within 2 weeks regained consciousness. It has been more than 5 years since she took herbs and Daisy is still alive and well. Medical science may like to call this recovery a spontaneous healing, but we, who deal with CAM (complementary and alternative medicine) therapies call it miraculous healing. Daisy attributed this healing to her strong faith in God (in a paper submitted to the Internet Journal of Family Practice). We have helped thousands of cancer patients, who have been given up medically, for over a decade now. We have seen many cases of miraculous healing. Daisy’s case is just one of the many stories. Based on Daisy’s experience, we were able to help stabilise disease progression in at least three other brain cancer patients. To us, when medicine does not provide any more hope, we still see there is hope, as seen in Daisy’s case. And hope comes with minimal cost. The total cost of herbal therapy for two weeks that brought Daisy out of coma is $70. It is beyond the scope of this article to discuss how holistic herbal therapy heals cancer. The words of Dr. Norman Shealy, a neurosurgeon, who wrote an aptly titled book, Miracles Do Happen, can perhaps sum it all: “Conventional, allopathic medicine has ignored the most important aspect of healing: the untapped miracle of the individual’s personal will, intuition and heart. When will, intuition and heart are united, even for a few moments, miracles occur” (22).